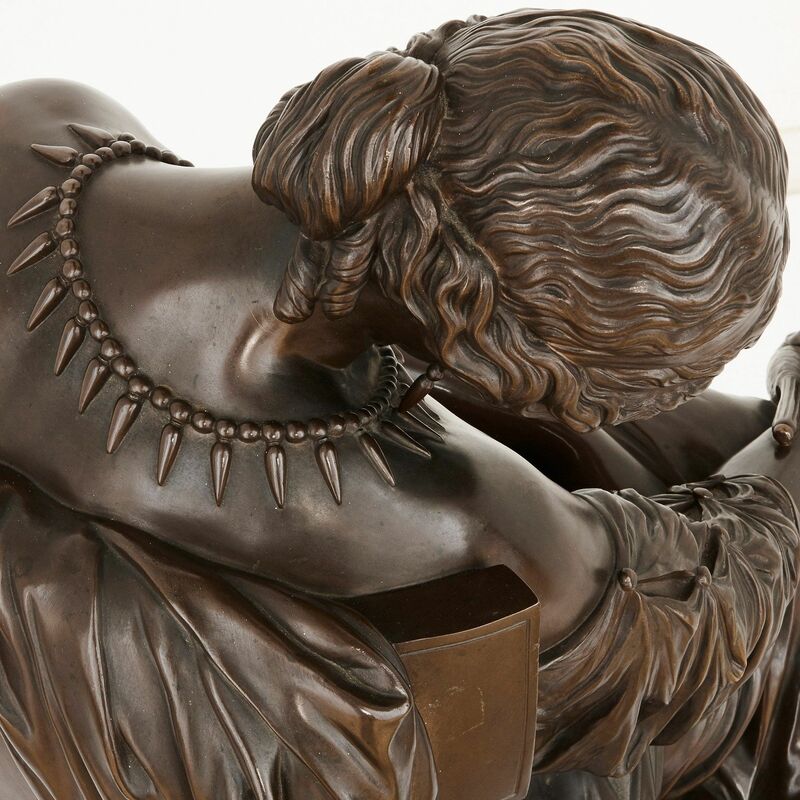 This large and magnificent bronze sculpture of Penelope is a subject from Homer's Odyssey, and is expertly created by French sculptor Pierre-Jules Cavelier. 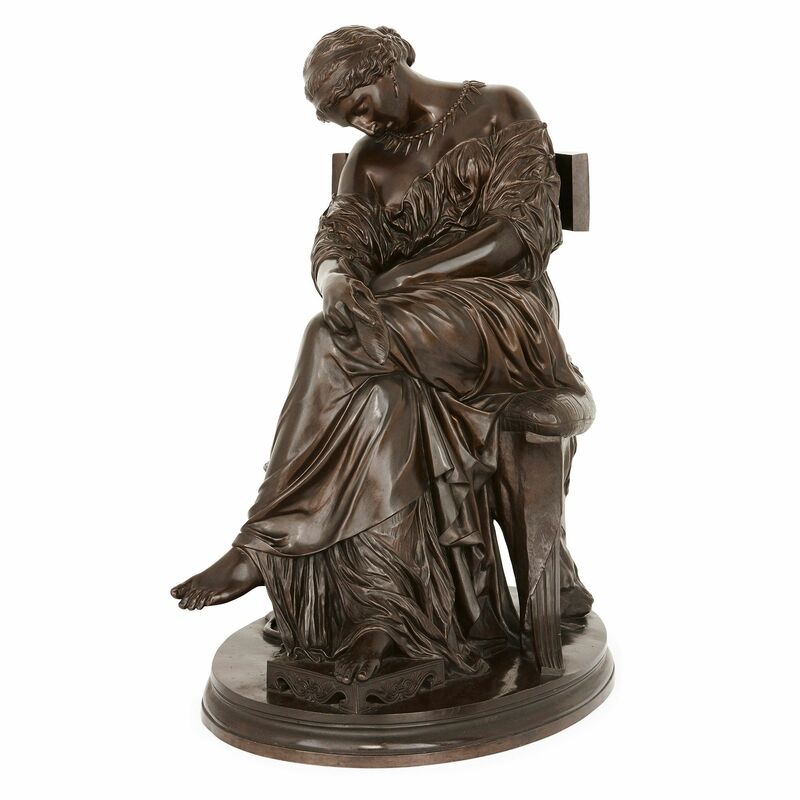 By Pierre-Jules Cavelier (French, 1814-1894) and cast by Ferdinand Barbedienne (French, 1810-1892), the bronze sculpture depicts Penelope asleep on a chair, holding a spindle in her right hand, all set on an oval base. This depiction of Penelope is from a story in Homer's Odyssey. The base is signed 'J. 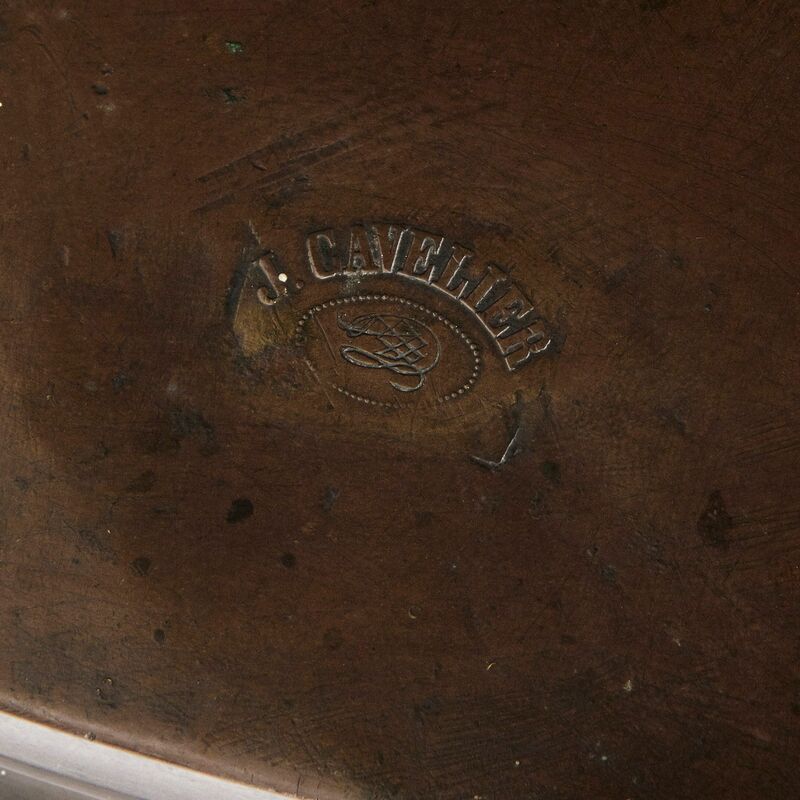 CAVELIER' and 'F. 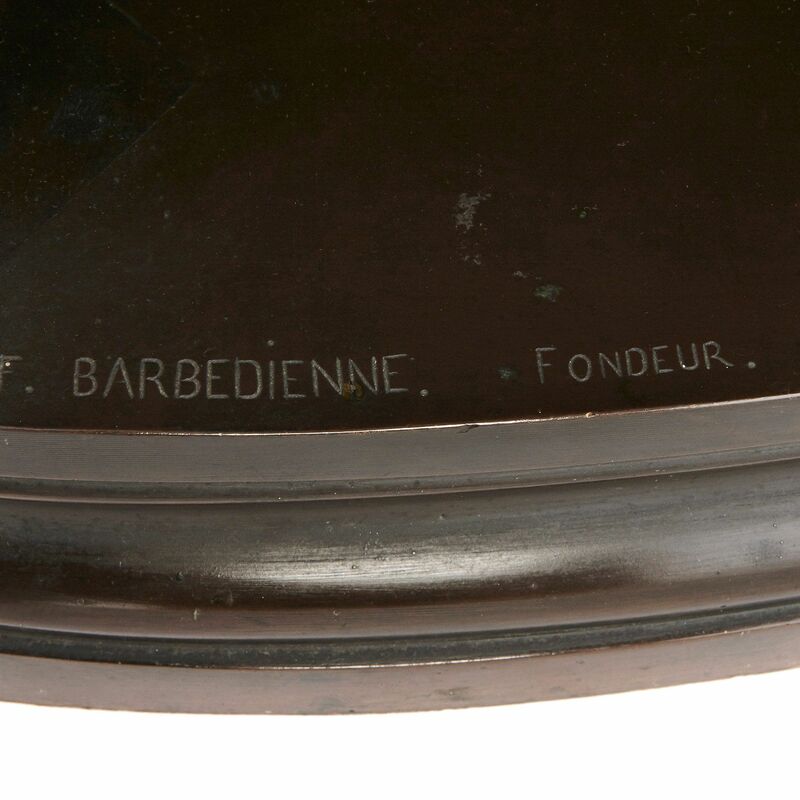 BARBEDIENNE FONDEUR'. 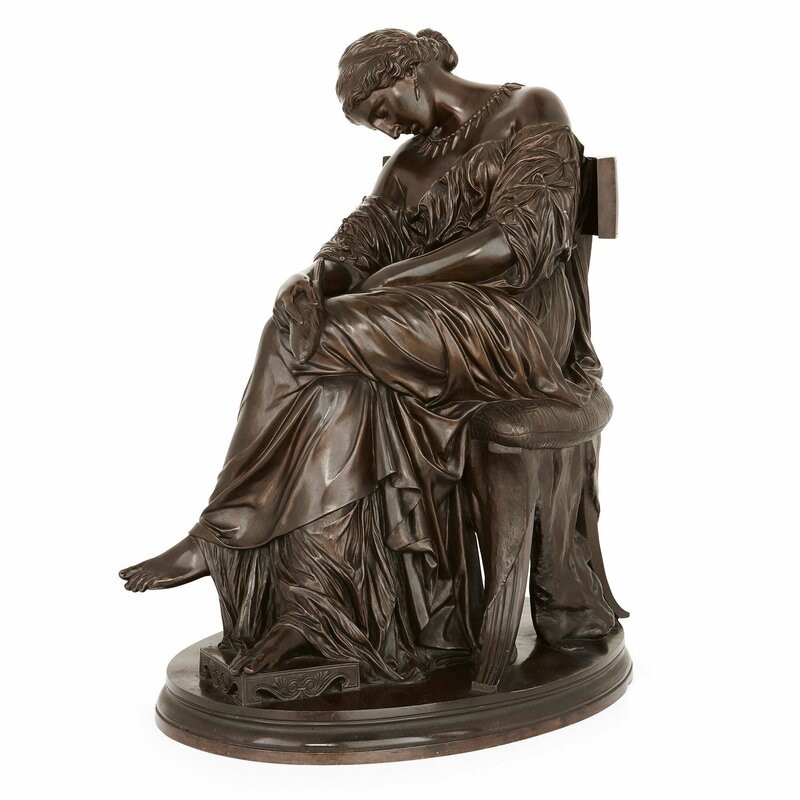 The original of this sculpture was exhibited at the 1842 Salon under the name 'Femme Grecque Endormie' and later exhibited in 1849 with the title 'Penelope'. 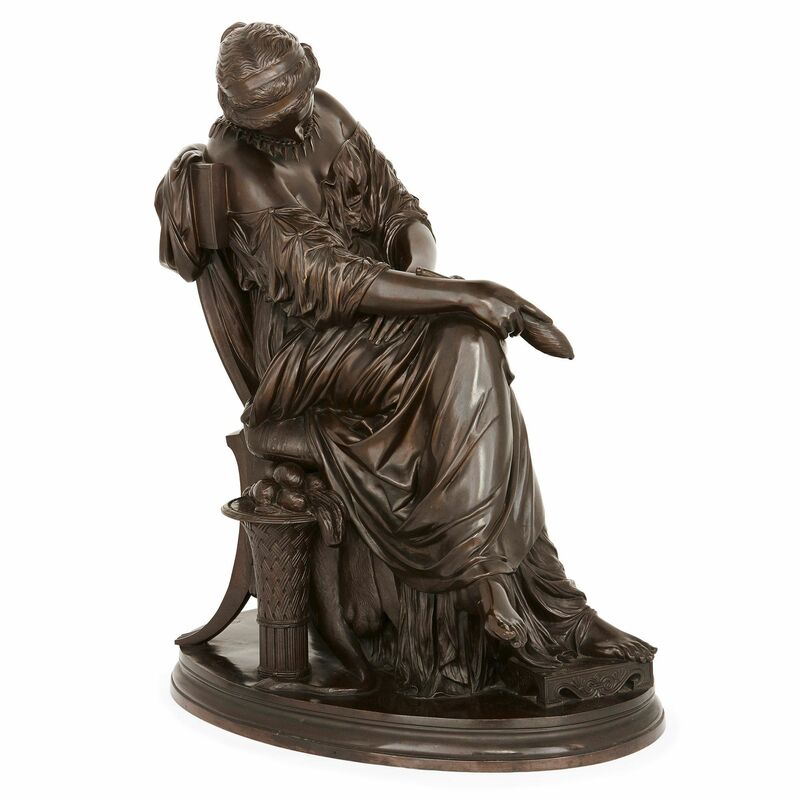 It is the only Cavelier sculpture to appear in the Ferdinand Barbedienne foundry's 1886 catalogue, part of a set of five reductions after the original. This current model is reduction no. 4 and was originally offered for 200 Francs. 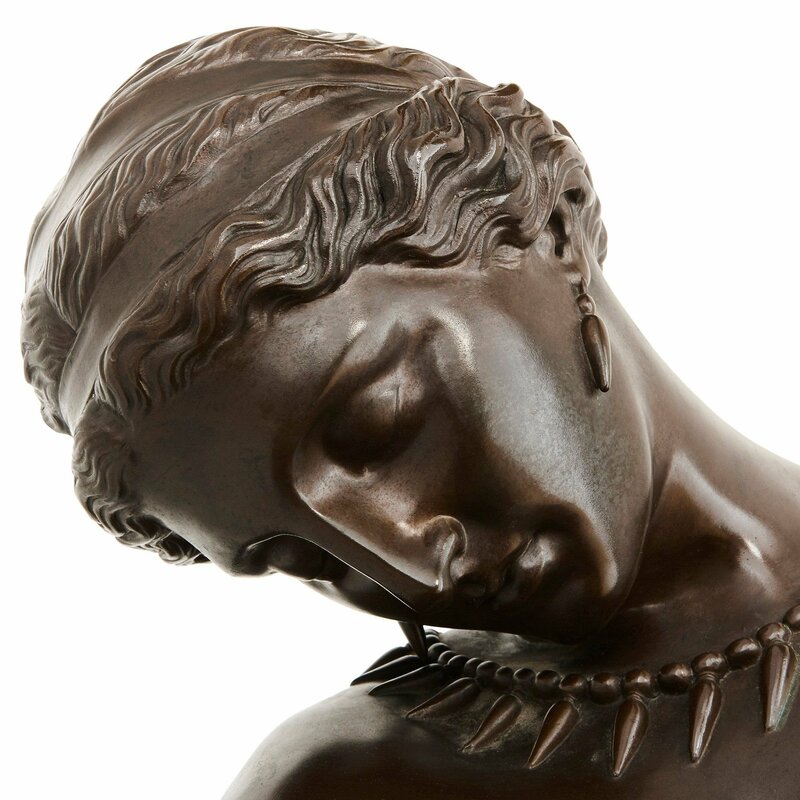 The story of Penelope is taken from Homer's Odyssey. 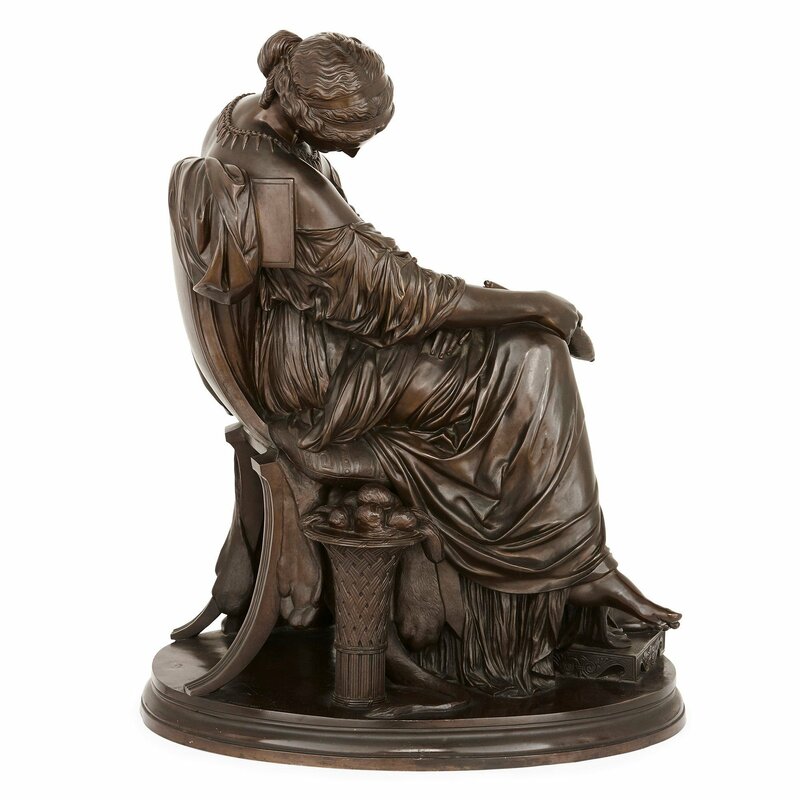 Penelope is the wife of the protagonist, Odysseus, who is the king of Icatha. Odysseus was called to fight the Trojan war, and Penelope waits twenty years for his return. In his absence, many suitors and pretenders to the throne of Icatha ask for her hand in marriage. Staying loyal and faithful to her husband, Penelope says that she will not decide on a new husband until the burial shroud for the tomb of her father-in-law, the old king of Icatha, has been woven. Every night for three years, she undoes the threads that have been woven that day, thereby prolonging her marriage, until her secret is revealed by a servant. Penelope asleep depicts her in the long wait for her husband and demonstrates her dedication and commitment to her husband.